Hello everyone, and welcome to the newest feature on my website, a little something we like to call Author’s Corner! I’m often asked what’s new, what are the recent releases that hungry audiobook listeners can sink their teeth—or ears—into…? Well here, in this corner of my website, I hope you’ll find the answer to that question, as every month or so we feature a number of new authors and titles that will intrigue and entertain you. I have been blessed to be paired up with many brilliant writers in my career, and it’s something I’m grateful for every day. I’m often asked, in fact, how such pairings are made: whether narrators audition for authors, or if we’re chosen at random from a pool of available talent. Traditionally it’s a little of both, but almost always the process was handled through publishers. Until now. Whereas ten years ago it was extremely rare to be hired directly by an author, it’s now become commonplace in the modern publishing landscape. And while it’s always flattering when a writer asks, “Hey, can you record my book?” sadly it’s a difficult prospect to implement, as my schedule is typically jam-packed with work from authors I’m already working with. But every once in a while, I’ve been blessed to find a title and author I just can’t say no to. Larry Fine approached us a few years back in the hopes I’d find the time to narrate his legal thriller, MURDERING LAWYERS. Having garnered dozens of great customer reviews on Amazon, we said great, let’s go! Because I was blessed to record the quintessential legal thriller THE FIRM by John Grisham years ago, there was a part of me that was expecting a similar type of story, but don’t kid yourself: this is not your parents’ legal thriller. Witty, clever, and definitely NSFW, MURDERING LAWYERS has plenty of surprises inside its pages. It came out a few months ago, and right away I started getting wonderful responses from listeners who’ve enjoyed it. Here’s hoping you do too. Soon thereafter, Richard Shapiro approached me about doing a follow-up to his 2012 title THE WELCOMER EDGE, a fascinating business book that unlocks the secrets to repeat sales. Having enjoyed working on his first book a great deal, I immediately said yes. In THE ENDANGERED CUSTOMER, Richard presents strategies to foster loyalty in an age where consumers can all too easily find your competitors. He shows why a ‘people first’ approach is more important than ever, and offers a guide that any business can follow to deliver a welcoming and highly personal customer experience. Not only did I really enjoy working on it, but I can honestly say that I have never learned more from a business book: I run my company differently after having read it. And I am by no means in the minority: on Amazon, 98% of customer reviews give the book five stars. Lastly, let me turn your attention to a highly engaging thriller writer, one who I think you’re going to enjoy and one I’m proud and excited to have partnered with. 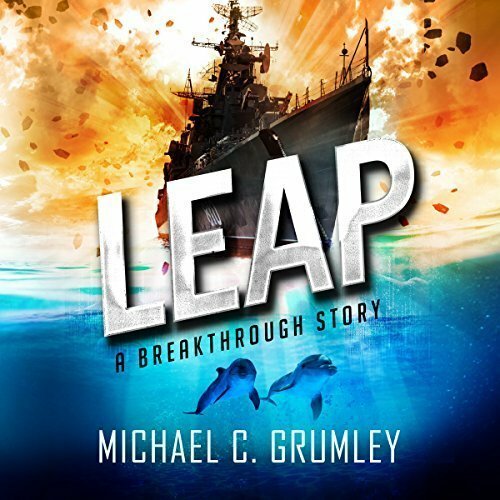 Michael Grumley writes high-octane nautical adventures that are definitely in the Clive Cussler vein, but with a fascinating twist—one that I wish I could talk about, but I don’t want to give anything away...! And the great news? There are already four volumes in the series (the first two are now available at Audible.com, the rest will be coming soon, but more about that in a minute) and Michael tells me there are at least twenty to go. The story centers around two primary characters, and the fascinating secret that brings them together. Deep in the Caribbean Sea, a nuclear submarine is forced to suddenly abort its mission under highly mysterious circumstances. Naval investigator, John Clay, must turn to a small group of marine biologists who are quietly on the verge of making history. With the help of a powerful computer system, Alison Shaw and her team are preparing to translate the first two-way conversation with the planet’s second smartest species. But the team discovers much more from their dolphins than they ever expected when a secret object is discovered on the ocean floor—one that was never supposed to be found. Alison was sure she would never trust the military again, but when an unknown group immediately becomes interested in her work, Alison realizes John Clay may be the only person she can trust. To make matters worse, someone from the inside is trying to stop them. Time is running out... and our understanding of the world around us is about to change forever. 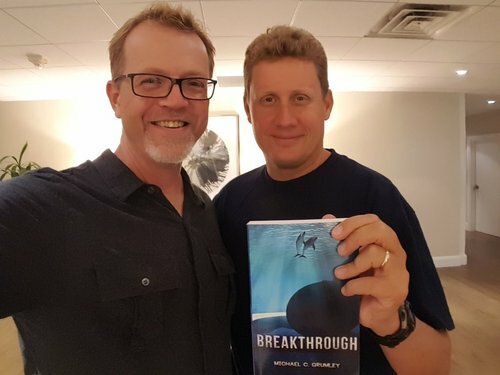 BREAKTHROUGH and its sequel LEAP, the first two installment in the saga, are both a rollicking good time, the ground floor of an adventure that will continue for many years to come. And both titles are NOW available at Audible.com. One of those folks that like to turn the pages? 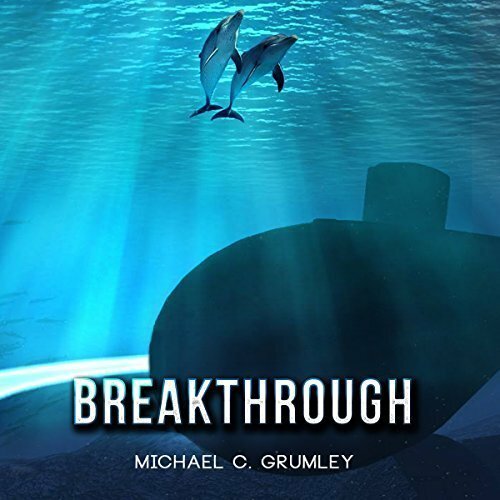 Breakthrough and Leap are both being featured as a Kindle Daily Deal on Monday, September 11! So you can grab the e-book, and you’ll be able to purchase the audio version at a deep discount. But wait, there's more! If you purchase the Kindle or audiobook of either title in the series on Monday or during the month of September, you will be eligible for a secret discount code at the Brick By Brick Audiobooks online store. Just send a copy of your receipt to info@brickbybrickaudiobooks.com along with your contact info and you'll receive your discount and redemption details. So don’t delay, grab them both Monday. I sincerely hope you enjoy the titles I’ve talked about today even half as much as I did while working on them in the studio. New authors are the strength of the publishing industry, and I am proud to partner with the ones I’ve shared with you today. Tune in next month and I’ll share other writers and titles that you’ll enjoy meeting. Until then, thanks for listening. The One Tree Audiobook Is Available Exclusively At Brick By Brick Audiobooks!